Student Executives are responsible for the functioning of their specific areas. 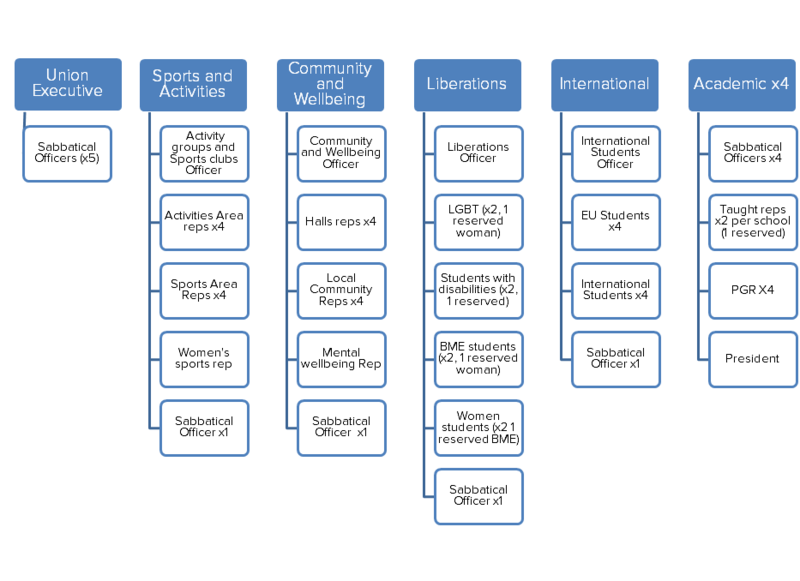 They are run by a voluntary officer who provides the student leadership for that area. Each executive is run by a voluntary officer who is elected by all students (except for the academic executive who elect their own chair). There are several other positions available on each executive, some of which are reserved for a specific demographic of student. Full details on the membership are available in the bye-law above.